When WeWork first opened its doors in 2010, it seemed that they were simply in the business of real estate—providing a trendy and flexible co-working space for freelancers and entrepreneurs to lease short-term. But as some of their initial visioning sessions demonstrate (brainstormed services like WeSleep and WeBank), the company has set its sights on more than that from the start. They’ve touched on a magical place that appeals to both freelancing creatives and Fortune 500 companies alike—the new corporate culture. So what’s so magical about the culture that WeWork has created? Members have independence and the freedom of choice; couch or desk, private office or shared space. They have the ability to be mobile and roam, to work from multiple locations. 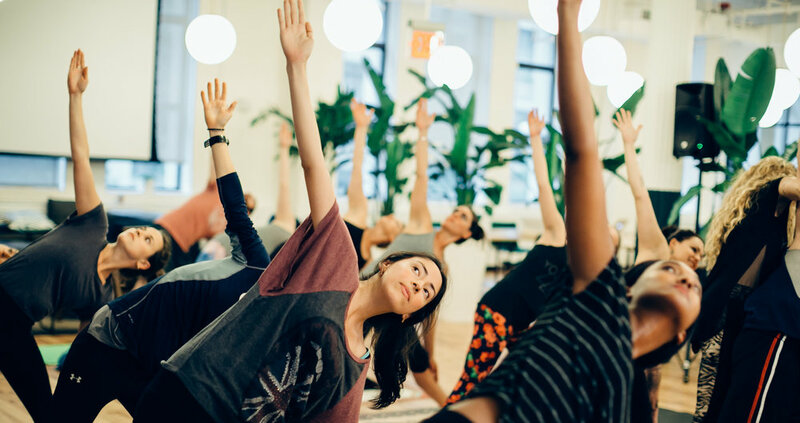 At the same time, members are still part of a community of other members, within which WeWork encourages interaction and support through programming like yoga classes, happy hours, and Taco Tuesdays. Beyond the freedom and social calendars, WeWork strives to be a high-touch and personalized organization, recognizing that although their members enjoy their autonomy, they don’t want to be just another body paying rent, or cog in the wheel as it can seem at larger organizations. Community managers are on a first-name basis with everyone, know the needs and comings-and-goings of their larger tenants, and remember members' birthdays and their beverage preferences. Miguel McKelvey, co-founder of WeWork, often reminds his team that their goal is to “rebuild [the] social fabric and rebuild the potential for human connection.” Whoa, they just might be delivering on that. 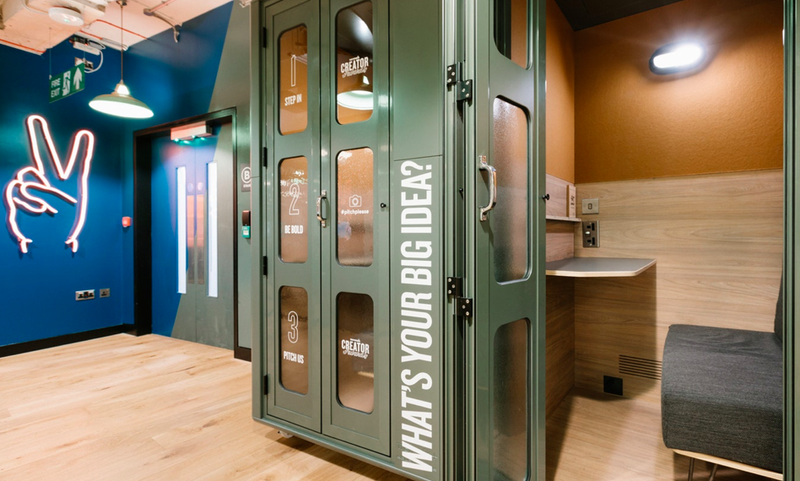 What would excite you more–working in an IBM cubbie with fluorescent lighting or an open, vibrant WeWork? Which brings us to WeWork’s current focus: sharing the secret corporate culture sauce with the IBMs of the world. IBM adopting the WeWork way? Yes. This initiative, Powered by We, comes during an organizational shift, including a name change from WeWork to The We Company, at the beginning of this year. Enterprise companies had already begun using WeWork locations for their employees, some even leasing whole floors/buildings. Now, The We Company is partnering with them, infiltrating their corporations to sprinkle a little magic and enhance the workplace experience. How did this happen? How did they go from glorified landlords to culture consultants? Not to mention generating a market cap of $47 billion in 9 years? Necessity, imagination, and inspired original planning. Given the unpredictable nature of real estate and “nice-to-have” reality of co-working space, The We Company needed to expand its portfolio to withstand any dips in the market. Enterprise companies like Sprint and UBS are some of the first to enthusiastically embrace this latest model, engaging WeWork from planning through build-out to management. Sprint office in Midtown Manhattan. The jury is still out on whether their new corporate culture can successfully transition from the WeWork environment to that of a Sprint. If it does prove to have legs, however, the potential is there for the workplace to look a little (okay, maybe a lot) different in the future.